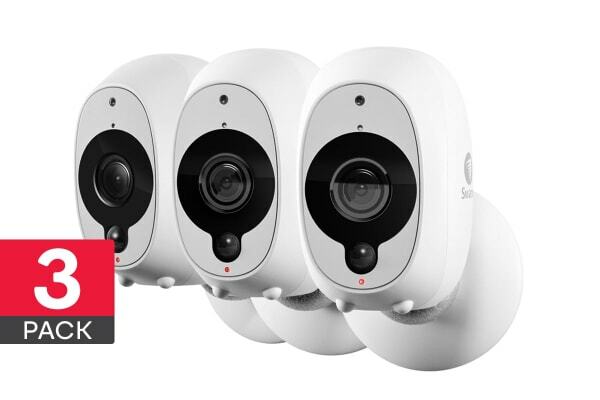 Completely wire-free, the Smart Security Camera is battery operated, rechargeable and an affordable choice for a versatile home surveillance. Can’t drill? We’ve got you covered. Just use the 3M Command strips supplied in each pack to securely mount the camera in your home, apartment or rental property. Or place the camera on a flat surface and it will stand on its own feet. 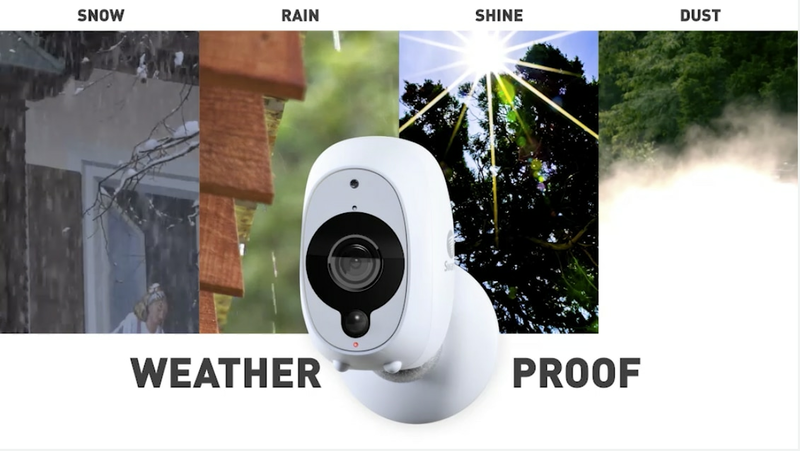 With weatherproof IP65 rating, the cameras are built to withstand almost all weather conditions. You’ll always be protected day in, day out, rain or shine. 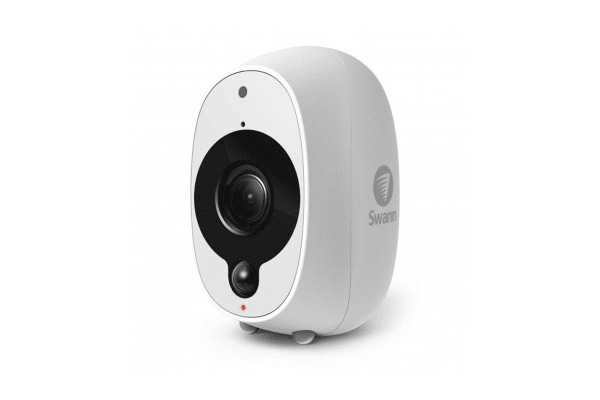 Get smart with live view and playback directly from your phone from wherever you are in the world with the ‘SAFE by Swann’ app. Have a peek at home to check everything is okay. You can even listen in to your baby, kids, loved ones and pets with the built-in microphone. See everything in incredible detail with Full HD 1080p resolution and super wide 120 degree viewing angle. Capture facial features, license plates and clothing patterns. When the night falls, the camera automatically switches to night vision with the powerful infrared LEDs that let you see in the dark up to 32ft (10m). With a 6000mAh high capacity battery, you’ll only need to recharge a small number of times per year. The app alerts you when the battery charge is running low and Swann’s True Detect technology helps preserve battery life thanks to its efficient heat-detection. Easily recharge for 4-6 hours with the USB cable we’ve included and it conveniently plugs into your Smartphone’s USB wall plug. 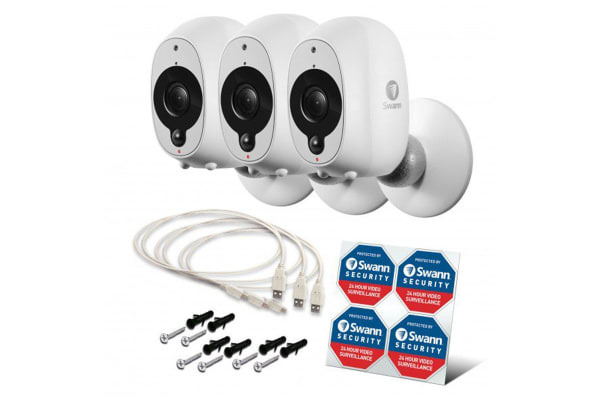 The camera has a True Detect PIR heat sensor, the same technology used in alarm systems. True Detect is a step up from traditional motion detection as the PIR detects heat-generating objects, like people, large animals or cars, then triggers video recording and reliable push notifications. True Detect means no more false triggers from falling leaves, small birds or plants moving in the wind. It also boosts battery life by only recording relevant events. The microphone allows you to hear and record people talking and other audible noises. When you receive a push notification, use your phone to hear it live or during playback. Audio is a helpful, additional layer of security should you need to distinguish someone’s voice, gender, accent or off-camera noises.